Lear's first TV production remains one of the most groundbreaking series in television history. 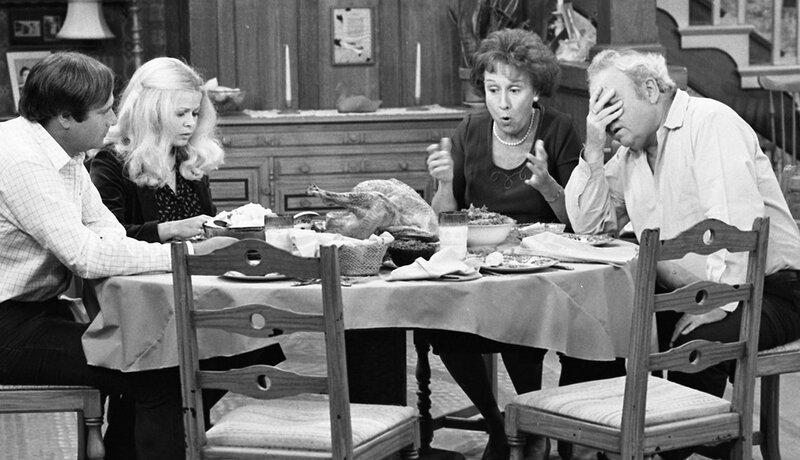 All in the Family tackled homosexuality, religion, the Vietnam War, racism and many other touchy cultural topics, while cementing the aggressive, yet lovable Archie Bunker (Carroll O'Connor) as one of television's legendary figures. The series would run on CBS for 205 episodes over nine seasons, with each one receiving an Emmy nomination for Outstanding Comedy Series (with four wins). Looking for an answer to All in the Family, NBC brought Lear on board, resulting in the premiere of Sanford and Son in 1972. The show was an immediate success, with Redd Foxx's cantankerous junk dealer Fred Sanford and his son Lamont (Demond Wilson) forming one of TV's most iconic duos. 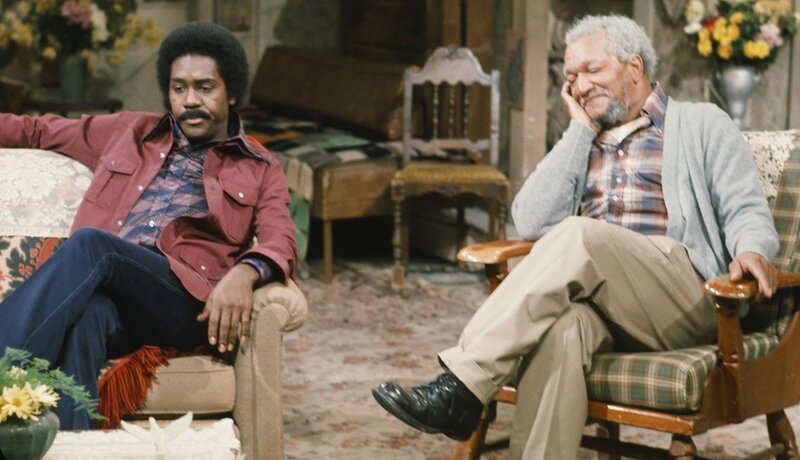 Sanford and Son remained one of the most popular shows on the air during its run, with each of its first five seasons finishing in the Nielsen Top 10. 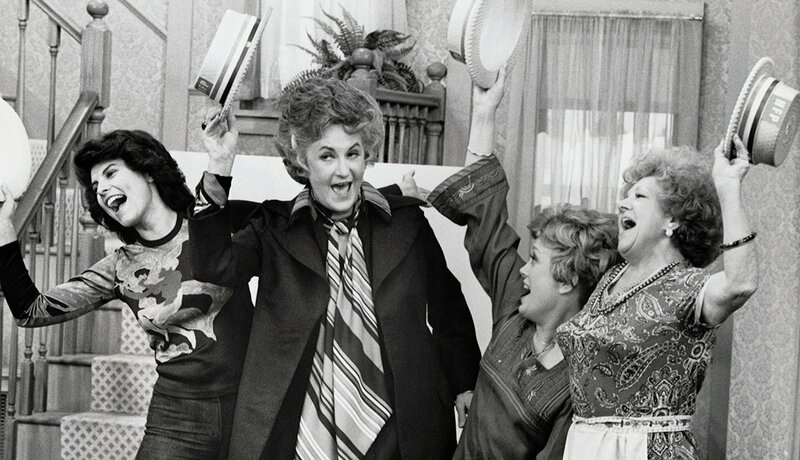 The first All in the Family spinoff, Maude took the action to suburban Westchester County, N.Y., where the titular character (played by the legendary Bea Arthur), a cousin of Edith Bunker, made a life with fourth husband Walter (Bill Macy). Maude Findlay would become one of Lear's most important female characters, taking center stage as a middle-aged, outspoken liberal and champion of civil rights causes. Maude quickly became one of TV's most prescient shows, most notably in a 1972 episode centering on abortion, two months before the landmark Roe v. Wade decision. After first making her bones as Maude Findlay's housekeeper for two seasons, Florida Evans (Esther Rolle) moved to Chicago with her husband James (John Amos), becoming the stars of their own show. 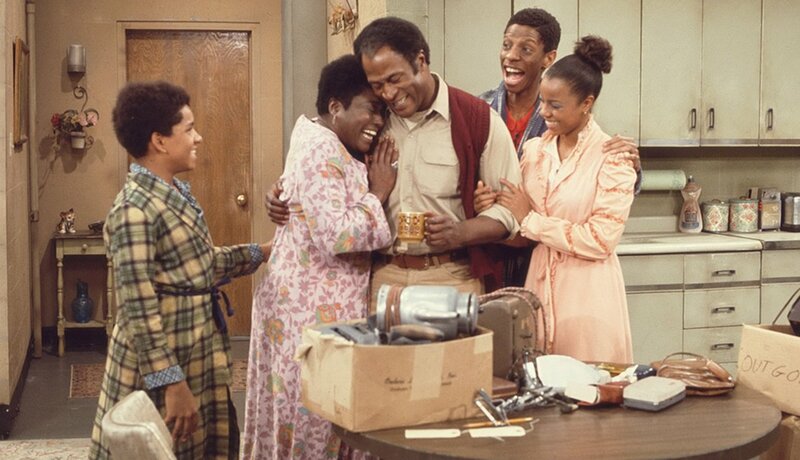 As television's first African American two-parent sitcom, Good Times unabashedly confronted issues of poverty, crime and racism through its portrayals of the Evans family's life in the Cabrini-Green projects. The second All in the Family spinoff followed Archie Bunker's neighbors, George and Louise Jefferson, as they moved on up to the east side of New York City following the success of George's dry-cleaning business. Along for the ride were son Lionel (played by Mike Evans), and neighbors Helen and Tom Willis, TV's first prominently featured interracial couple. 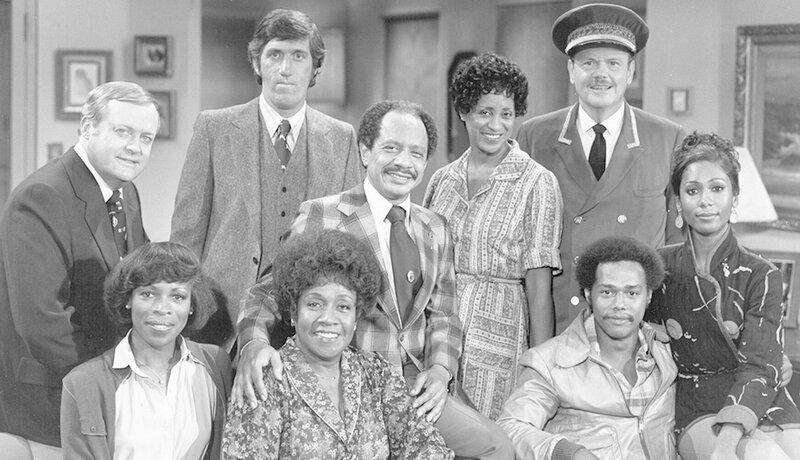 The Jeffersons eventually ran for longer than All in the Family, clocking in at 11 seasons — but the impromptu cancellation of the show and lack of a true series finale remains one of TV's most questionable decisions. Series star Sherman Helmsley (George Jefferson) stated that he found out about the cancellation by reading the newspaper. 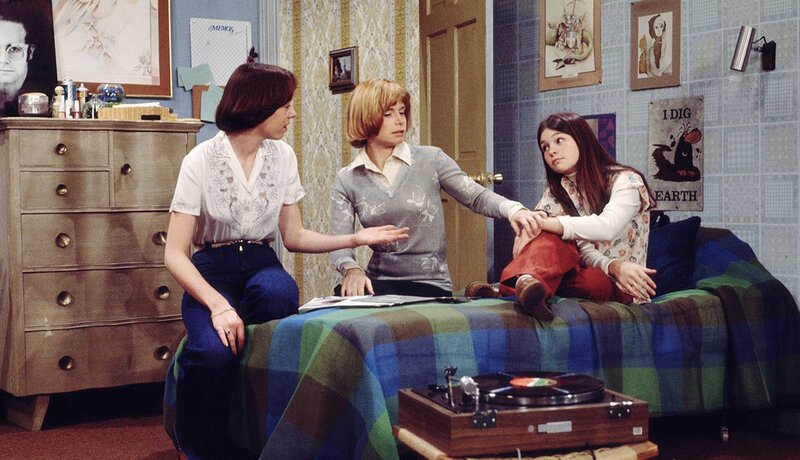 One Day at a Time continued Lear's willingness to challenge the cultural norms of families on TV, premiering in 1975 with Bonnie Franklin as Ann Romano, a divorced and single mother of two teenage daughters (Mackenzie Phillips and Valerie Bertinelli). Franklin, Phillips and Bertinelli's chemistry was palpable, and the show became yet another success for Lear, even when Phillips was forced to leave before the show's sixth season due to an ongoing drug problem. Lear's first out-of-the-box TV effort was the peculiar and eccentric Mary Hartman, Mary Hartman, a satirical soap-opera spoof that ran in daily syndication for two years. Starring Louise Lasser as Mary Hartman (repeated in the title because of Lear's belief that all soap opera dialogue was said twice), the show stretched plotlines and melodrama to hilarious effect. It didn't last long, but its spoofing skills were ahead of its time, and to this day, the show lays claim to one of the great TV deaths of all time: the drowning of Coach Leroy Fedders in chicken soup. Lear continued his satirical work by spinning off Mary Hartman, Mary Hartman into Fernwood 2 Night, a fictional nightly talk show set in the town of Fernwood, Ohio. 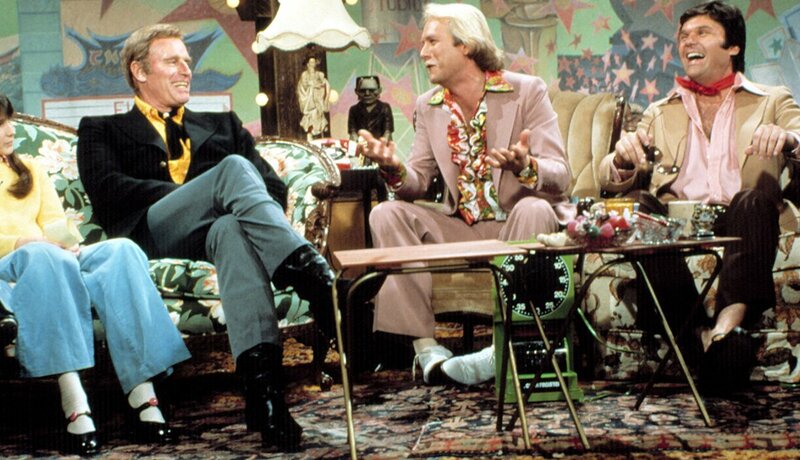 A loving mock-up of late-night talk shows and local-access television, the show starred Martin Mull and Fred Willard as host Barth Gimble and sidekick Jerry Hubbard, interviewing the lively and colorful Fernwood townsfolk. For the show's second season, Gimble and Hubbard moved to Southern California, where they rebranded the show as America 2 Night and interviewed real celebrities, including Carol Burnett, Burt Lancaster and Charlton Heston. A reimagining of Lear's original 1975 series, the new One Day at a Time became an immediate sensation upon its 2017 premiere on Netflix. 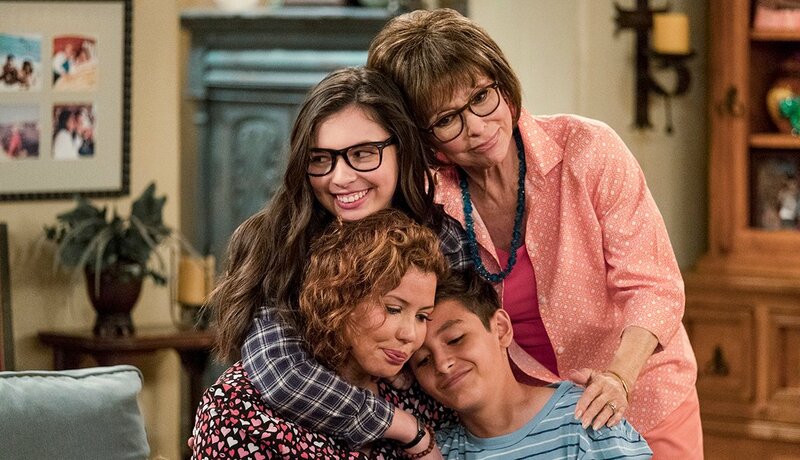 The show brings back the single-mother dynamic, this time starring Justina Machado as Penelope Riera Alvarez as a Cuban American veteran and mom of two kids, Alex and Elena, with Rita Moreno, 86, as Penelope's mother, Lydia. The show has received praise for its honest portrayal of PTSD and issues of immigration, sexism and racism facing Latinos in the United States, and has become one of Netflix's strongest critical successes. The show will return for a third 13-episode season in 2019.